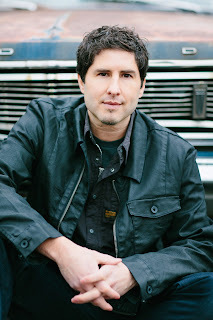 On May 2nd, The Living by Matt de la Pena hit the #1 spot in the Kids & Teen section of the Kobo.com store. 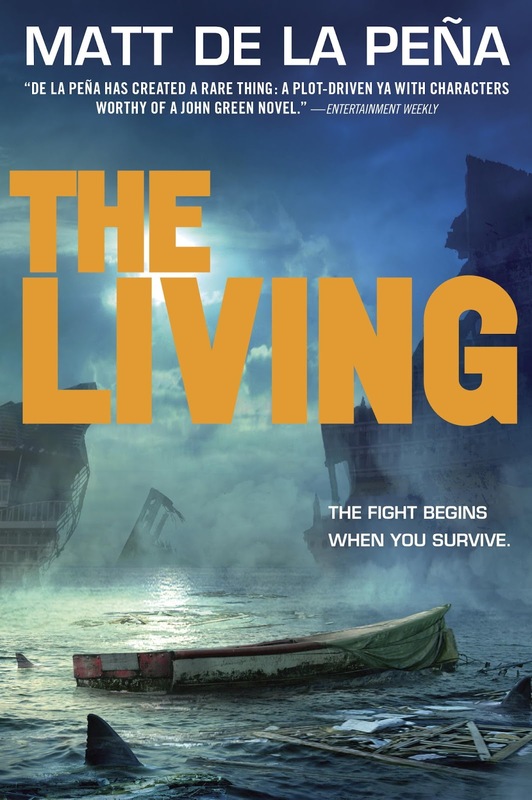 The Living was originally released in 2013, and this year it was followed by a sequel, The Hunted. Matt is a New York Times bestselling author of young adult novels and picture books, and he joins us today to share about his e-publishing success. First, tell us what your book is about. The Living is a survival story. My main character Shy gets a summer job working on a luxury cruise ship. It's his first real exposure to people with money. He works hard and has some fun in his off hours (he especially likes hanging with Carmen, a beautiful girl from a neighborhood quite a bit like his). But soon he finds himself in extremely rough seas. When the ship goes down in the middle of the Pacific, Shy is in a fight for his life. It's during this fight that he uncovers an even deeper secret. I write Young Adult novels, which are stories driven by teens. Shy is 17. I love my teen readers so much, but I also love the adults who read my books. The Living, I've found, has been very popular with adults. The e-format is exciting to me for many reasons. First of all, teens read on iPads and their phones. But it's also exciting that folks can download a book the second they hear about it. Also, I'm currently traveling, and I love that I can have six books on one device. When I teach, I find that it's great to be able to search for a key section instead of randomly flipping through pages. It's truly an honor to have an e-book that is widely read. It makes me so proud to think that there are people possibly reading my work on a device right this second, maybe a few rows behind me on the plane I'm currently on. Because I'm traveling so much these days, I've learned to write on planes and in hotels and on the train. I have deadlines that do not allow me to wait for the perfect setting. I have to make the best of whatever situation I find myself in. 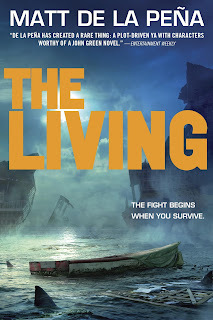 Currently, I'm waiting for the sequel to The Living, The Hunted, to come out. It's the end of Shy's story, and the book officially comes out May 12th, which is so soon. So I've been doing a lot of publicity for the book and meeting with readers. It's great. And tiring. And it makes me nervous. I hope people like how the story ends! As a reader of both traditional books AND e-books, I think reading is reading. Kids are shifting toward e-books these days. I think it's great. I'm happy they're reading. And if they're anything like me, I bet some of them go out and buy the hardcover of the books they like best. I know I do. I just love that there are so many way to experience a story these days. That's the most important thing. Because I believe narrative is vital to our culture. Learn more about Matt and his books by visiting his website, or by following him on Facebook or Twitter. See the latest Kids' EBook Bestseller List for more top ten e-format authors and their books. It's updated every Saturday morning. Check back next week when my featured author will be Deirdre Riordan Hall.